Our sister-site OLED-Info launched a new book today - The OLED Handbook. This is a comprehensive guide to OLED technology, market and industry. There is a growing interest in OLEDs - from all over the world, and this guide can help introduce the subject quickly and throughly. 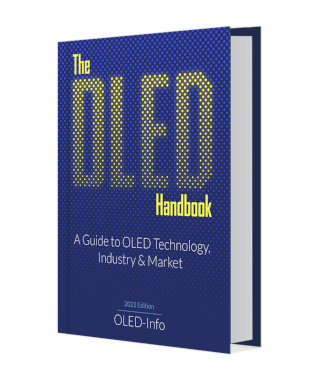 The OLED handbook is an invaluable guide to display engineers, business developers, researchers, equipment vendors, OLED material companies, private investors and anyone who wants to learn more about OLEDs today and in the future. The OLED Handbook is ready and can be downloaded now for $97 USD (via Paypal or credit card). To secure your copy simply click here. For more information, and to order your copy today, visit The OLED Handbook info page. Apple to launch a new tablet / book-reader with an OLED display?